Born in Utica, New York, Steve moved to the Washington Metropolitan area over 40 years ago. He attained his Bachelor of Science in Business Administration from The American University. Steve received his Juris Doctor from The University of Baltimore where he served as an Editor on The University of Baltimore Law Review. Steve is a member of both the Maryland Bar and the District of Columbia Bar, and is admitted to practice law before the U.S. Courts of Appeals and the United States Supreme Court. 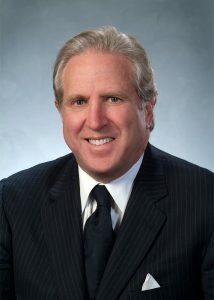 Before establishing Steven H. Oram, Chartered, Steve spent eight years with a prominent Montgomery County law firm, of which he became a partner in 1979. Throughout his career, Steve has been an active member of the Washington Metropolitan community. Early in his career, Steve was appointed by Maryland Governor Harry Hughes, as a Member of the Maryland Industrial Development Finance Corporation, and has continued his interest in finance by serving as a founding Director of two regional financial institutions. Steve is also honored to have been a featured speaker for Continued Legal Education seminars for both CPAs and Attorneys. Widely recognized for his expertise in Employee Benefits and Retirement Planning, Steve has served as National Tax and Real Estate Counsel to two AFL-CIO International Unions for over 40 years. Dedicated to the community and his clients, Steve not only serves on the board of several Private Charitable Foundations but also acts as Trustee for many of the firm’s clients. Steve is especially proud to have represented many Washington Metropolitan area families for multiple generations. Steve and his wife, Terri, live in Potomac, Maryland, and have two children and four grandchildren.